I always though that Naruto’s Rasengan was his Ultimate Jutsu . You know , kinda like Goku Trademark attack was Ka-me-ha-me-haaaaaa! . 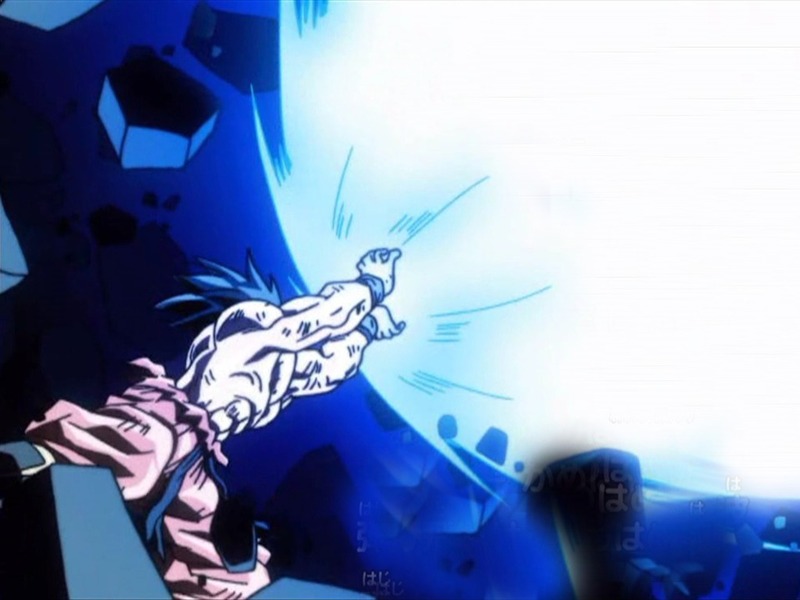 I remember in DBZ , Goku used the Kamehameha as last resort . Because it take a lot of energie . And when he used the Kamehameha it usually signaled the mood of the Battles . Making others like Piccolo , and Krillin saying things like ” Goku’s getting serious !”. But with Naruto it’s completely another story . The Rasengan and Kamehameha has neither the same form (yes round in both cases , blue in both cases ) but they aren’t in the same level at all . Well , everyone….I’m thinking mostly for those who started this (aka The 4th Hokage and Jiraiya ) . 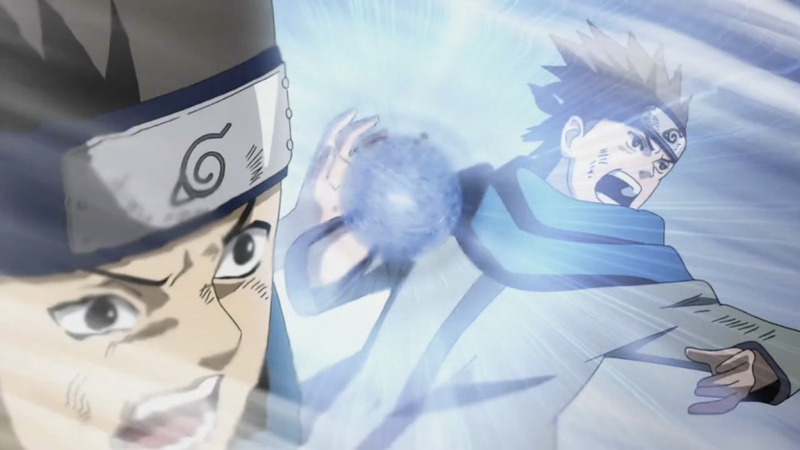 And now….Konohamaru is going Rasengan on Pain ?!?!?! Well he can . But I though Naruto was a freaking Hero ?? Usually , Heroes have their own *unique* technique . 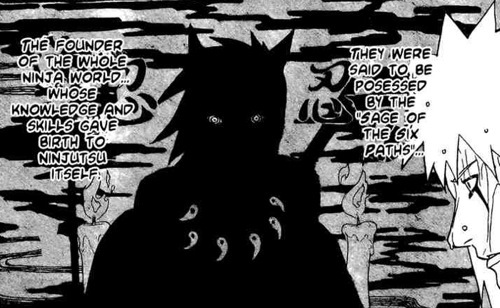 Madara get his own freaky Susanoo (with double head ) . 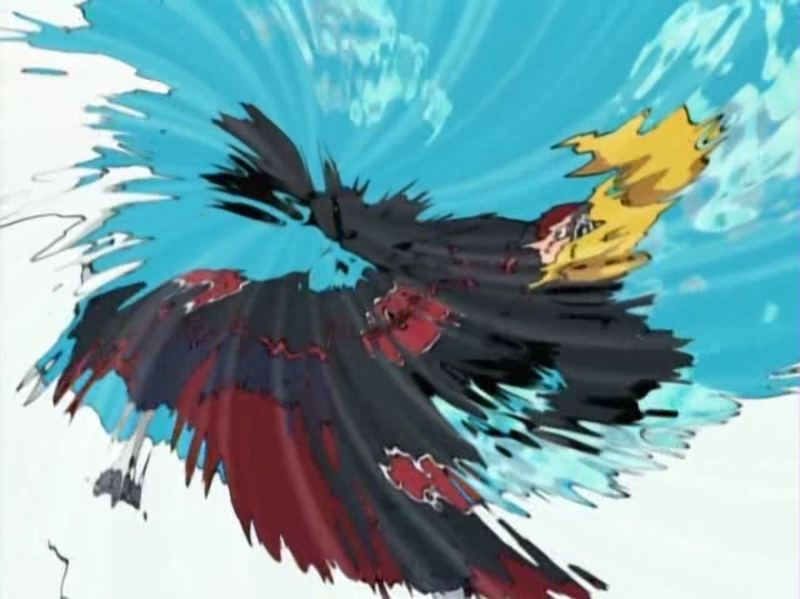 Sasuke get his own Susanoo in the form of DBZ mixing ! And Naruto get ripped off ?!?! NOT FAIR !!!!! Ok , he has Futon Rasen Shuriken , and Sage mode , and his new Team-work with Kurama . BUT his strongest Technique Futon RasenShuriken look lame . (especially when he throw it at the same as two others : Bee and Itachi ) and his look Lamoooo….next to those 2 . I mean , what if Vegeta when he came the 1st time on earth . Blasted Goku with a Kamehameha ? (Instead of his Gari-gun thingy) . That would be like a WTF moment right ? I mean , I know most DBZ charachter (Yamcha , krillin , Turtles) could do a kamehameha . Even Goku’s kids end up being tiny clones of him . But still…Kishi you are supposed to get ‘inspired’ from DBZ. Not COPYING! Well….First there was the Sage of 6 Path with those eyes . Then came his Two Son’s . Who One had the Eye , the other had the Body (watever that mean ) . Then with Pein came alot of bodies all wearing the Rinnegan . (Teach those who claimed it was a Myth , now you got Spammed like hell!) . And the Devil came wearing Prada-Ahem ! I mean , wearing a Mask and a set of eyes that will sent even the most evil creature back to the Abyss with just one look…..
(or he think , he just make me wanna smash that mask with a baseball bat ) . And like it is not enough of a copy-past , now Edo-tensei-Madara got a new set of what…? EYES ! (not brain= didn’t have any left in stock) . Of course , such claims mean (if it’s true) that not just him . But also Sasuke has the abilitie to get the Rinnegan , and Itachi would’ve (if he survived ) and mostly all those in the Uchiha with the Abilitie of the Sharingan . 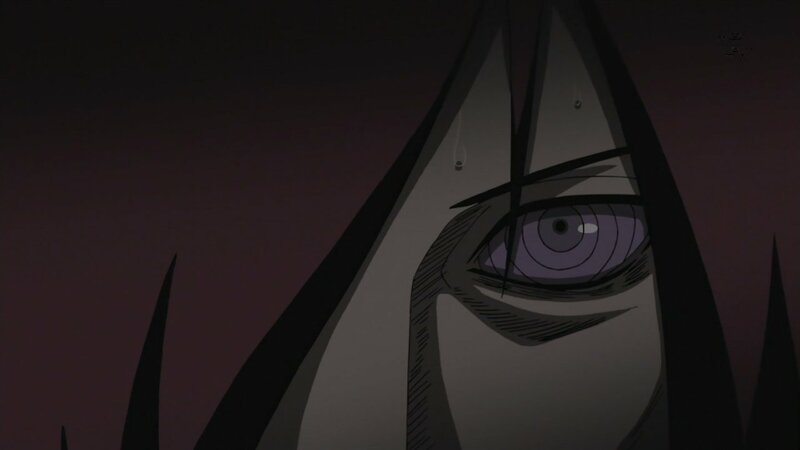 I don’t know if Itachi would be able to ‘activate’ the Rinnegan in his edo-dead-tensei mode . But Sasuke has a lot more chances to activate his own Rinnegan . The real question here (beside wtf all these rinnegan spamming) is that : Is there a requirement to Unlock them ? From Nagato own memeories , intense traumatisme seem to have done the trick . Yet in Itachi and Sasuke cases , they only got the Sharingan and later the Mangekou Sharingan activated . No Rinnegan . 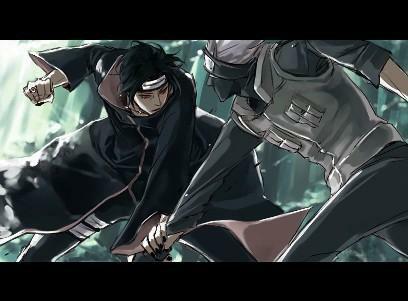 Maybe you need both Senju and Uchiha ADN to get both Sharingan and Rinnegan . (and Madara thanx to Kabuto has both inside of him ) . My real question is this one : If having both DNA (Senju and Uchiha) = Unlocking Rinnegan . Does that mean , if Kakashi somehow get Senju DNA he can unlock the Rinnegan ? And how come Kakashi is stuck with ONE FREAKING JUTSU ? But Kamui is ONE jutsu . 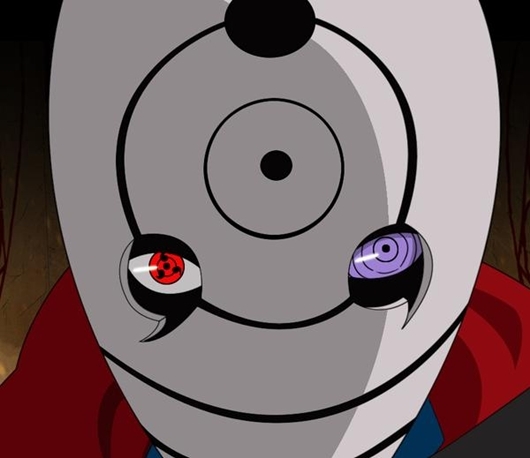 And Uchiha claims that when you activate the Mangekou you get 3 new JUTSU . So where are the 2 others he is supposed to get ? So how much of a danger is a Jutsu has no impact on it . Unless you get Jutsu depanding on your chakra level . If that’s the case , how come Naruto doesn’t have that many ? And also , one thing I noticed when it come to Kamui . Is that , Kakashi use it way too much . Yes , I understand the way of thinking strong enemy = use your strongest Jutsu . But his Kamui seem to have an *addictive* qualitie to it . And you can say that about most Uchiha Jutsu . 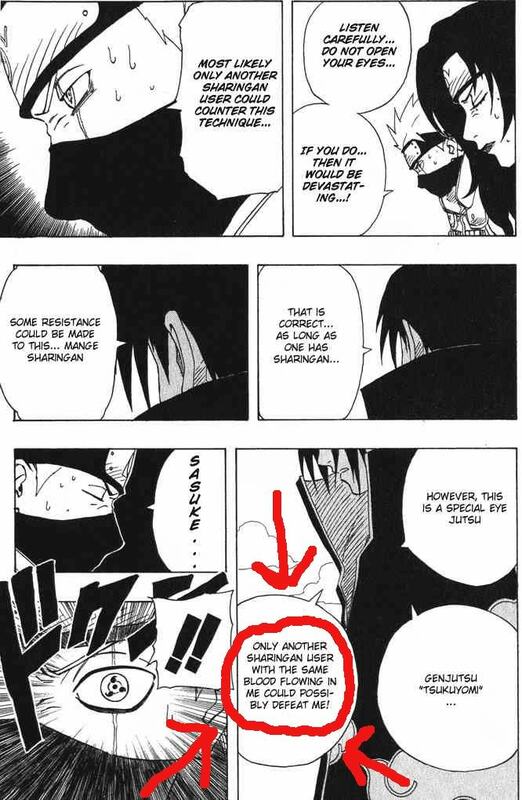 But in Kakashi case , he is the copy Ninja . And Jutsu (strong and weak) he is said to have an arsenal at his hand . (yes his chakra limit him at what and how much he can throw at his ennemie) . But still….using Kamui every chance he get , and keep saying ‘I’m worried about my chakra level…but hell…If I die..so what..” . Kakashi ! you got saved once from death by Pain by Pure luck ! Don’t die on the Freaking battelfield because of Kamui !!! 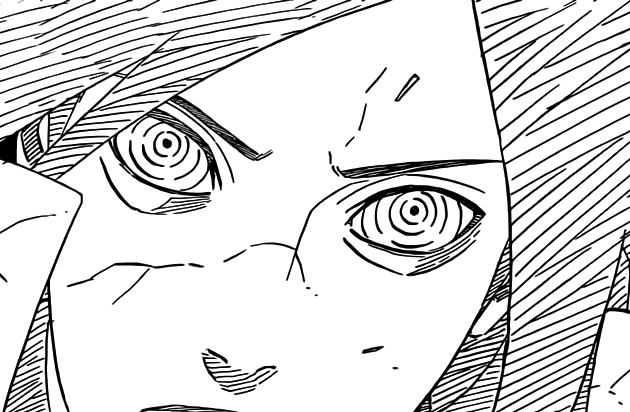 So yeah in my not so humble opinion XD Sharingan still rock my world (even if it has evil tendancy) . Sorry Rinnegan…you just lost your charm with all the copy-like running wild .